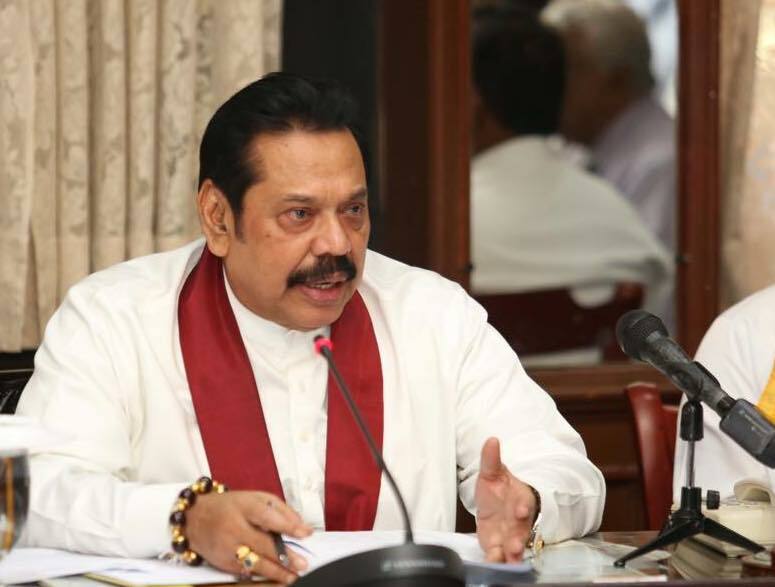 Former President Mahinda Rajapaksa hit a fresh snag yesterday when the Supreme Court did not have enough judges to take up his appeal on the interim order issued by the Cout of Appeal preventing his government from continuing in office. Eva Wanasundara could not take up the as she is not accepting new cases due to her retirement early next year. Seven judges are currently involved in the hearing of the multiple petitions filed against the dissolution of Parliament. Therefore, eight of the nine Supreme Court judges are unable to take up Rajapaksa’s appeal immediately. Two vacant positions in the Supreme Court are yet to be filled by President Sirisena. Colombo Telegraph previously revealed that Sirisena is delaying the two appointments in a bid to manipulate the ongoing court case over the dissolution of Parliament. Two judges – namely S. Thurairaja and Gamini Amarasekera – are yet to take oaths as Supreme Court judges despite their names being selected by the Constitutional Council. The two judges, promoted from the Court of Appeal, have unblemished track records and have not been accused of political bias thus far. The Constitutional Council selected them from the four names presented to the council by the President. One other name that was recommended by the President was Deepali Wijesundera, the judge who convicted Former Army Commander Sarath Fonseka in a politically orchestrated trial under the Rajapaksa rule. The Constitutional Council declined to endorse her appointment. As a result of the current situation, the Supreme Court has run into a major ‘human capital issue’ and Mahinda Rajapaksa is the last victim of it. Although Rajapaksa’s lawyers have filed an appeal against the Court of Appeal interim order, the Supreme Court is yet to take it up. Meanwhile, addressing the SLFP convention in Colombo earlier this week, Sirisena launched a thinly veiled attack on the Court of Appeal likening the decision to a head monk of a village temple dictating terms to the chief prelate of a chapter. “නිකායක මහානායක කෙනෙක් කරන්න ඕන වැඩක්, විහාරාධිපති කෙනෙක් දේශනා කරලා.. he said in Sinhala. Looks like the head priest is running out of village priests , who allegedly were dictating him????? MS wanted to manipulate the judiciary and now ended up manipulating his bed partner MR. What a pity???? Looks like even the gods are against MR. Nothing is going right for poor MS???? Time for both to start visiting religious places for prayers and favors. Hear from vine news that Sirisena requested Nimal Siripala de Silva to request you to resign as the Fake Prime Minuster, and you refused or that the 12 who met you did not or did not have the guts to reuuest you to resign as the Fake PM. So, you are refusing to resign from being the Fake PM, and Sirisena does not have the guts to fire you as the Fake PM. You and the country got caught to the Srrisena preactical jokes. You have become one of the main jokers along with Sirisena. Yes. Many members of the constitution council, and becomes harder for the crooks to buy all of them out for money and perks. This is what happened with the constitutional coup as the Sirisena-Mahinda Junta could not buy all the legislators. We are past the stage of fighting over the legality of the purported Mahinda government. Now it is impeachment time. We must discuss stripping of civil rights and jail time for You-Know-Who. You-Know-Who will plead innocent based on insanity. Perhaps Mahinda Rajapaksa will follow with the same insanity plea. According to JVP; M&S is the main cause of all trouble .. He managed to fool public . He managed waste millions of rupees. What Praba did for 30 years war has been done by M&S within a month .. The country lost it credibility and good well ..
M&S destroyed democracy and the rule of law ..
People who appointed him first place did not know he was village man..
What you can expect from a village person .. He is like a monkey with a bunch of floors .. Still Sri Lankan academics; intellectuals and religious leaders do not do anything in front of this injustice ..
Now all what they want is delay..
Catch power from back door .. It is MR and co who push M&S into this . End of the day they blame M&S . It is a blame game. I don’t agree with you about bringing Prabha into this Mahinda & Sirisena power hungry Buddhist Fundamentlist politics through lieing, cheating, bribing for past 70 years. Sinhala politicians have ruined the country for the last 70 years …. ….and they are carrying on destroying it …for the future generation …. Praba is still popular. Anyway, “One man’s terrorist is another man’s freedom fighter”. It is funny to see once a Common Candidate with lots of hope is going down in history as a Common Enemy with all negative descriptions possible. Fatima, I agree with you regarding ” common candidate is the common enemy” today,for what he has done to this country. But A Terrorist is called a Freedom Fighter, only by a Terrorist. No one with a right frame of mind will call this man a Freedom Fighter. Pls don’t insult Freedom Fighters. According to Ex Minister Mervin Silva, his astrologer has told him that the time MR clandestinely took oath as fake PM was the worst time ever for any individual to do a thing, even death is not a surprise. So far. whatever direction Sirisena and MR turn or whatever action they take, turns out be a big disaster for them. The saying goes, before God wants to punish someone, he first makes him mad. Sena, if this would have been case, then we the peaceful folks of this island can finally celebrate it to the very same manner, they did it with the sacking of former CJ Dr S B.
I think Rajaksahe and his family is the main obstacle to lanken future: China has noticed it very clearly that MR is all abusive man to continue slave them. That is why abusive Chinese prefer him to be the leader even if we the lankens would face intern clashes. Chinese have already made LANKENS like Angolians. Angolians and Venuselians are made two other folks that struggle to pay their loans back. We the lankens are the fifth nation that have been made to CHINESE debt trap. May they run in to many more snags! However, this is no joke for us, the citizens, who are the people who ought to matter. We will have to foot the bill for this tomfoolery in many ways which are not yet apparent. If we are serious about saving our lovely country from these mad men we have to look at taking some serious action now before it is too late. Time for a petition to impeach President Maithripala Sirisena for betraying the country and all those who voted for him. We need to seriously look at imprisonment for treason with all those behind the coup being stripped of their civil rights, seizure of assets followed by investigation into the legality of all assets owned by them. We need the call for impeachment from everyone one of you! Impeachment needs two/thirds majority. MS knows this wont happen & that he is safe – to continue flouting democratic rule & parliamentary norms. See, I wonder, how Presz and the country would all burden year 2019 with over 7000 million of US dollars to be paid off . Not having a legitimate parliamentary back govt, now they cant get passed anything. No funds for the next year is gotten passed in the parliament. If parliament would not support, no funds for anything can be passed according to lanken constitution. Evne if ballige puthas like Wimal Ponnawanse goes on saying that funds got allocated by their DEFACTO cabinet, but such agreements would be null and void since their power is suspended by court decision and also no other countries yet admitted srilanka s newly elected govt is legitimate. All is now aware to locals and the world, but ballige putha Rajakshe to stay as if he is DEAF and BLIND. .. is made us all a laughing stock to the world by today. And if the country would now face any kind of the unexpected disasters of KUNU kanda or Tsunami, how the bugger President save this nation ? Why on earth bugger bugger president seem not to sense it yet after last 5 empty weeks ? Why should we the citizens allow this bugger behaves like the all last, to rule this country any day further ? I think it is high time to remove this man by contacting 3 Forces? He has proved that he does not know what he has been uttering or reacting to the people’s issues these days. WE the people are in all anxities not knowing how to help our lovely ones if there would be a scarce in Medical Drugs for example. The kind of anxities should be not there in this country as had been in the war weary days, but president s great failure not being able todo his job as promised, things have reached to all appalling levels. Rajapakse is the one who manipulated the judiciary during his period as a dictator President. Sirisena is trying to do the same now. Unfortunately both have fallen victim for their undemocratic, uncivilised acts of crimes against humanity. People bravely fought against to these evils in 2015 which gave some (only some) relief for independence of judiciary and freedom of speech. However, there are lot more to do now as the evils are trying to hidnap these some relief as well. If Sirisena is impeached, no PM like DB Wijaytunga to take over but next in line is the speaker Karu for the rest of the term of this Presidency. That would be ideal situation for all. These are all signs from above. Perhaps the Maha Raja’s soothsayer can explain to him that he is not supposed to seize power, and steal the office of the PM. The courts, the parliament, the international community, the constitution, and even the clergy, have stated that HE IS DOING THE WRONG THING. Vital information in making a diagnosis is family history.Take a look.MR is surrounded by GR/BR , his sons , his relatives his acquaintance who he brought into administration.All of them with no exceptions have extensive criminal history. MR had no respect for Law. Eva was his girl friend and he demanded the same relationship from other SC judges, When Shirani questioned he went on to arrange a sham inquiry to throw her out unceremoniously. MS sees law as in religious hierarchy and constitution is flexible for his personal convenience. They both dream and salivate on life term presidency. They mostly lie than speak truth. They both knew each other well and has been partners in crime. Each one of them have been in politics for about 50 years. Still there are voters who will readily elect these crooks.MS tried every trick in the book and after running out of all options came up with assassination plot using a psychiatric patient. These facts are good enough to explain the pathetic situation of a country, like no other. AT THE END THIS POLITICAL TELE-DRAMA CLIMAX WILL BE A REAL FIGHT BETWEEN MY3-AND MAHINDA.In case the court give the verdict in favour of RANIL MAHINDA will go for a settlement with RANIL after obtaining a promise from RANIL about the pending CASES AGAINIST HIS FAMILY TO BE SIDELINED.THEN REAL FIGHT WILL BE BETWEEN MY3-MAHINDA.HOPE RANIL WILL NOT MAKE A SILLY MISTAKE AGAIN AND LET DOWN ALL WHO ARE SUPPORTING UNDER THIS CURRENT BAD CONDITION. Deterioration of democracy, and authoritarian rule by the first President with executive powers and his interfering with the Judiciary, was nothing new, Late Justice Neville Samarakoon, resigned as a result of pressure put on the Judiciary by the powerful politicians of the day, and interfering with the functions of Judges of the Superior Courts but goes back to the time of JRJ, when Late Eminent lawyer, Dr Colvin R De Silva, wrote in his booklet, he published titled “Monkeying with the Judiciary” highlighting the Political interference with the functions of the Judiciary. Rajapakse Government dictated to some Judges as to how they should decide upon a particular matter before them, and the Judgement should reflect not the legal reasoning but political agenda, if they failed, consequences would follow, one Lady Law Professor who Mahinda Rajapakse promoted as the Chief Justice was pressurized to write Judgement in line with the Mahinda Chinthanaya, but not “Neithhika Chinthanawa” or legal reasoning, faced dire consequences to the extent of removal from her illustrious Judicial post. Sad but true! We have to be ashamed of ourselves even to allow this Rajapakse clan to freely roaming on our streets, for they are totally responsible for slow death to our once jealously democracy and rule of law. Has an appeal been made? Who made it? MR said the SLPP will. Is this buying time to mount the next putsch? by upsetting and destroying and putting Srilanka to peril. He and his family members too should be investigated for fraud and cheating. Yes. He is breaking the constitution, and giving his own interpretation. Can we impeach, ACJU Rifti as well, for abusing the democratic and religious rights of Sri Lankan Muslim women.? At least a fatwa calling him an Apostate who follows the Devil, Satan? Sirisena umba para balla umba loku patholaya horek. Mahinda is unable to find a judge to hear his case. But my friends FR’s case, hearing of which was concluded in June 2016 is awaiting the verdict for the past 2-1/2 years with no end insight. I understand a couple of letters have been sent under registered cover to Justice Depth before his retirement-but no response. Further he has sent another letter to the Present Chief Justice this week and awaiting response. But with the shortage of Judges I wonder what will happen? He is wondering whether the letters reached the appropriate hands. I believe Ranil has promised once again to protect Old Royals. So in case if the verdict is in favor of Petitioners, Old King will step aside and let Ranil to become the PM. In case the Case is lost, it is a different case. Suppose then the UNP win the NCM case, then there will be an election, probably even without Vote of Account. Suppose NCM case also lost, then in the parliament the UNP cannot defeat any vote of Account. Old Royals still have fund restrictions passed by parliament on secretaries. My Guess is New King and Old Royals will be still spending the government money illegally & conduct the election. As precaution Ranil might have requested Diplomats to stay out this election. So American Embassy is the first one to show green flag to parliament election, accepting so far anything happened, happening and going to happen is legal. They may be right, because all going to be decided in courts, finally. But earlier Ambassador Patricia Butenis did not accept Parliament dismissing (Impeaching) CJ Shiranee. Jeyam Jeyam has said it is the parliament who decides the illegal action of EP, not the court. But, as per New King, Parliament remains dissolved. I don’t know, then which parliament our smart AG is suggesting in the court to decide about EP’s action. To Impeach EP, Parliament has to cite a criminal action of EP to SC. Then it will decide on that. If approved then Parliament impeach him with 2/3. If the dissolution case is won, then Parliament has a case investigated by SC and decided EP violated the Constitution. To proceed further, UNF needs another 25 MPs for this. Anyone coming out of from Joint Comedy Club for this is out of question. Dissidents are not sure of what to do. They clearly understand that Slap Party membership will not easily come for the. Few SLFPyers may vote. But it is in doubt if that is enough to impeach EP. Trial and tribulation of series of ill thought out and badly executed decisions is immense to our economy, pride of an independent nation and our international standing. Lack of recognition of purported government by other governments and world leaders speak volumes. None of the cabinet ministers in Singapore has any lesser qualification than a BSc. It is a moot point how many of Sri Lankan cabinet ministers hold such qualification! Apart from doctorates confered by one of the writers to Colombo telegraph. It is timely that Sri Lanka introduce minimal educational qualifications for prospective MPs.